High-quality cotton Gildan Tees - rich durable silk screen front and back. 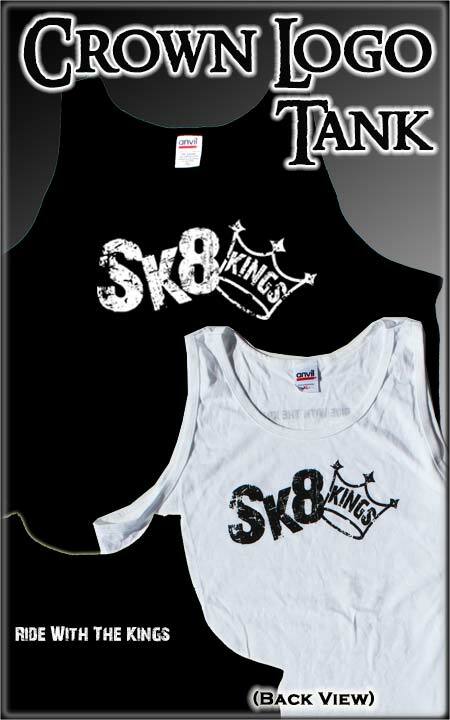 Black tank tee with white printing or White tank tee with black Crown logo printing. Available in standard adult sizes Medium through XXL. Limited to stock and sizes on hand.